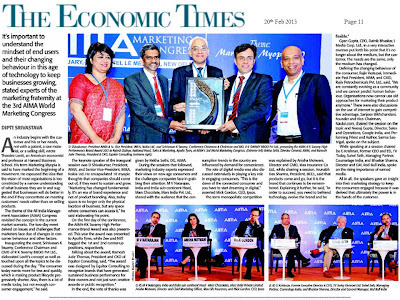 From the recently concluded edition of the World Marketing Congress at New Delhi. Equitor continues to be the Knowledge Partner for the AIMA-RK Swamy High Performance Brand of the Year award. Congratulations to NIIT, Zee and Apollo Tyres!